Sometimes Your older sisters will hold a funeral for their favorite baby doll. They will find shoe box, pick all the flowers in the yard, hold a service, tell a prayer, and lay their sweet baby to rest. Sometimes they’ll sing a song or tell a story about their baby’s life and how they wish they could have saved her. Heartbreaking as it is to watch, it’s also beautiful. 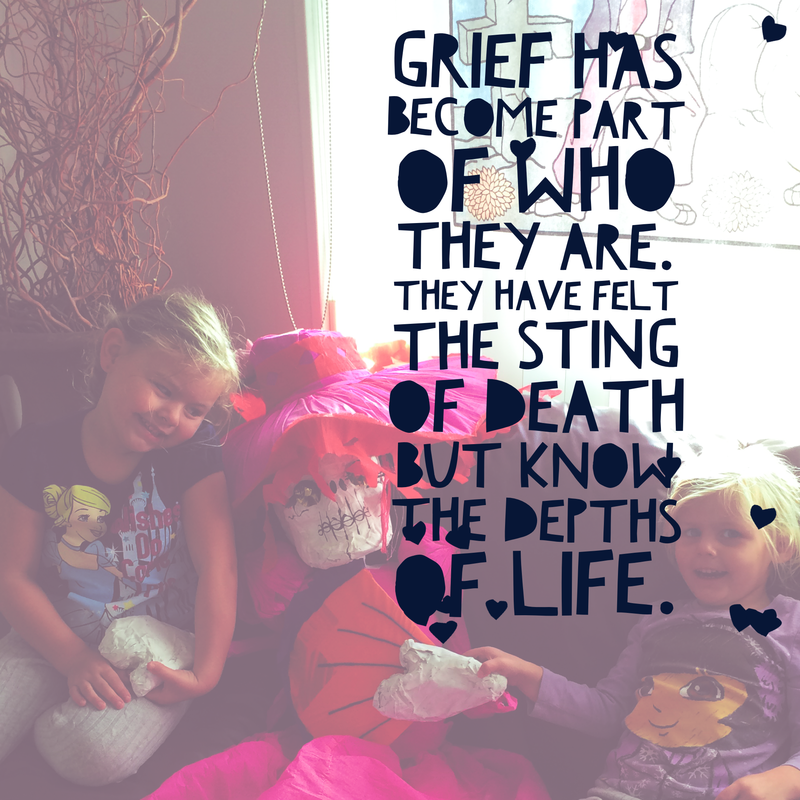 Grief has become part of who they are. They have felt the sting of death but know the depths of life. They know it’s okay to feel sad, to speak your name, to remember you. They don’t just believe you’re in Heaven, they say they’ve seen you. It was always a priority to normalize your death and to remove the fear that has the power to cripple us. It’s not easy, but we do it. And each little funeral reminds us that we have done a great job helping your sisters understand, as best as their age permits, what they are going through.